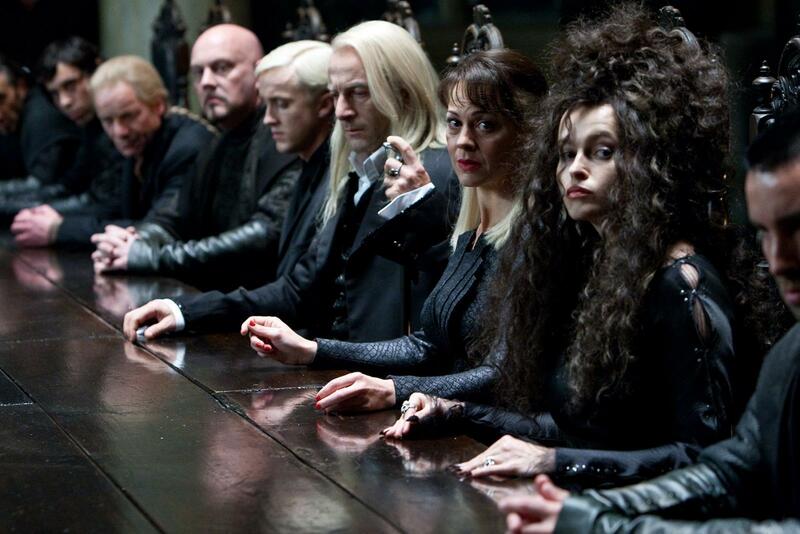 Death Eaters DH stills. . HD Wallpaper and background images in the Death Eaters VS Order of the Phoenix club tagged: death eaters voldemort bellatrix snape lucius draco narcissa. This Death Eaters VS Order of the Phoenix photo might contain abattoir, butchery, shambles, slaughterhouse, commensale, diner, strada, città scena, ambiente urbano, scena della via, città, and urbano impostazione.